Qtpfsgui: a terrific multiplatform (Linux, Windows, MAC OS X) HDR imaging program. Today, in our Linux Page (in Spanish) we have post a review about Qtpfsgui: a very powerful program to create HDR images. Qtpfsgui supports the following HDR formats: OpenEXR, Radiance RGBE, Tiff (16bit, 32bit and LogLuvand), Raw image and PFS native. Obviously also LDR extensions are well managed: JPEG, PNG, PPM, PBM, and TIFF(8 bit). Using this program you can easily create terrific looking HDR files from a set of images (formats: JPEG, TIFF 8bit and 16bit, RAW) of the same scene taken at different exposure setting. The program is very easy to use and after just few minutes you learn how to use it properly. Last but not least, the Qtpfsgui website has a link to useful documentation in French and a (unfortunately missing) link for Ubuntu users. This entry was posted in Computadoras, Computers & Internet, create HDR, Desktop, Get Linux, Gnome tips, GNU/Linux, HDR formats, HDR images, image converter, Image Viewers, jpeg, LDR, Linux, Linux & OpenSource, Linux Tips, Mac OS X, multiplatform freeware, multiplatform HDR imaging program, Multiplatform software, Noticias, Noticias sobre Linux, OpenEXR, PBM, PFS, PNG, PPM, Qtpfsgui, Radiance RGBE, RAW, Tech, Technology, Technology and Software, Technology News, Tecnologia, tiff, Ubuntu 7.04, Vista, windows, XP on August 26, 2007 by Galigio. Free SMS and Media Converter web services. The second post is about a good online Media Converter which has often helped us to solve everyday problems with different media formats sent by colleagues and friend. We hope you find these two posts useful and, please, if you don’t agree with what we wrote (or you use a better software-freeware) , don’t hesitate to leave a comment! This entry was posted in Computers & Internet, Favorites - Freeware, Free SMS, freeware blog, Freeware Reviews, freeware tip, freeware tips, GNU/Linux, Image Viewers, internet tips, Kubuntu, Linux, Linux & OpenSource, Linux Distros, Mac, Mac OS X, Media Converter, SMS, windows, XP on October 6, 2006 by Galigio. Automatix, gThumb and Linux tips for beginners! This is our Linux week! 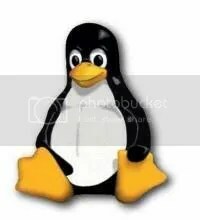 In the Linux page you find some useful and very detailed tips for Linux beginners. In particular you will find two different posts about Automatix and how to install it in Kubuntu. Thank you for your comments and a special “Thank you!” (with a specific post) to Donncha who suggested us to try gThumb, a very good image viewer for Linux. Thank you all again and… See you next week! This entry was posted in Automatix, Computers & Internet, GNU/Linux, Graphic Reader, gThumb, Image Viewers, Kubuntu, Linux, Linux & OpenSource, Linux Distros, Photographic Resources, Technology and Software on September 14, 2006 by Galigio.